Someone at your company needs to make ITAM more visible. Is it you? IT Asset Management (ITAM) is quickly becoming a necessity for companies seeking to manage their resources, time, and money. With companies owning various and multiple assets and offering different services that need to be promoted, there is still a lack of clarity around what IT Asset Management is and how it is best used to support the organization. Some companies simply fall back on spreadsheets to carry the brunt of their ITAM requirements. And many others still fail to realize how many valuable ITAM solutions are available. So how can you make ITAM more visible in your company in order to reap the benefits of it? To build your business case for instituting ITAM to a greater degree in your company, it is best to start with a brief overview of what ITAM is. ITAM refers to the practice of managing all elements of software and hardware that are used in the IT environment of a company in order to best support the financial wellbeing of the company. This takes different shapes and forms, all of which contribute to greater efficiency and efficacy. ITAM includes Software Asset Management (SAM), which is a business practice that manages and optimizes the purchase, deployment, maintenance, utilization, and disposal of software applications within your company. An example of SAM is license harvesting, a process that identifies licenses from a bulk purchase and determines how and where those licenses will be used and shows which ones are going unused. ITAM also covers Hardware Asset Management (HAM). According to The ITAM Review, HAM is, “the management of physical components (desktops, laptops) and computer networks from the procurement stage to the retirement of the asset.” An important part of HAM is tracking the lifecycle of your company’s hardware assets. Your company can even reap the benefits of employing Mobile Device Management (MDM) under the umbrella of ITAM. MDM refers to the security software used by IT departments for monitoring, managing, and securing employees’ mobile devices. MDM requires dual management from both HAM and SAM teams because it involves not only hardware (the devices themselves) but software (applications or widgets on the devices) as well. 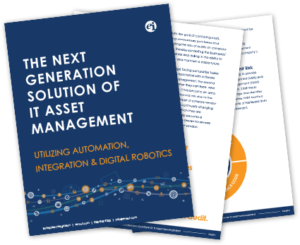 One of the greatest advantages of ITAM is that asset management allows you to gain complete visibility into your IT infrastructure inventory. This visibility shows your company – from a business perspective – what systems and equipment are available and how they are used, where software, hardware and network components reside, how these assets impact your business, when they were added to inventory then when they will reach end-of-life and, most importantly, what those assets cost. Emphasizing these benefits will support you in your mission to share with others in your company about the importance of ITAM. ITAM gives you the knowledge in advance about what assets your company currently holds. This management process provides your company with real-time, accurate inventory tracking through methods like asset labelling. Additionally, it provides the leaders of your organization with a better picture of what assets are available in order to make informed business decisions. In addition to inventory tracking, ITAM helps your company decide what software is necessary, what is being used regularly and which are underperforming. With SAM programs that track licensed software use (such as Adobe, Microsoft Office), your company can clearly note which licenses are unnecessary and renegotiate with the license issuers for lower rates. Further, the data from tracking the number of software licenses being used can be given to providers as proof of compliance. This process lowers your audit risks. Not only does ITAM address common software asset issues, but it also helps in tracking the end-of-life data for your hardware assets. This process allows your company to plan by identifying hardware assets that will need to be upgraded and when. Failing to keep your hardware assets up-to-date can lead to infractions against your data’s security, a situation that no IT company wants to face. When creating a business case to utilize ITAM in your organization as well as a plan to provide more visibility, it would be best to communicate all the reasons that this process would be of benefit. The best of which is that this process can be automated and that automating ITAM provides greater returns when investing in asset management. ITAM policies can be more easily incorporated when implemented using a state-of-the-art automated software solution. By having a straightforward understanding of the state of your company’s assets, you can provide an automated solution that saves money and time and increases productivity. 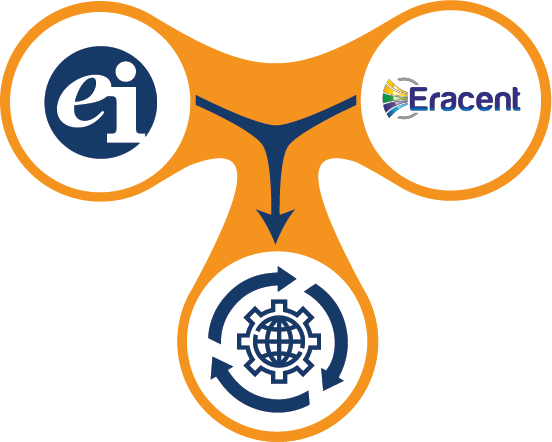 Enterprise Integration, in our partnership with Eracent, offers automated solutions that help customers track hardware and software assets and provide insight into your company’s information technology supply chain. ITMC DiscoveryTM delivers comprehensive lifecycle management including license allocations and reconciliation, infrastructure monitoring and alerts along with a configurable dashboard to track assets and tasks. This solution also generates reports allowing your organization to perform continuous internal compliance audits. With Eracent’s offerings combined with Enterprise Integrations’ Service Delivery IntelligenceTM (SDI) companies can discover, map, and visualize all core components and know the health of the total business technology supply chain. Knowing more about ITAM and what automated solutions are available allows you to make the process more visible within your organization.